Some interesting options especially this weekend, with a “swan song” for Jeremy Walker’s Nownet and a triple bill at the AQ as part of the eclectic String Theory Music Festival. • Michel Legrand Trio at the Dakota (April 8). It was no surprise that the set list was filled with wonderful songs from Legrand’s vast book of compositions—“You Must Believe in Spring,” “The Windmills of Your Mind,” “How Do You Keep the Music Playing,” etc. 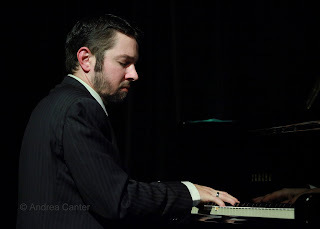 But his virtuosity as a pianist has not diminished a bit (including his ability to play in the style of a long list of heroes, from Tatum to Peterson), his vocals were charming enough, and his sidemen were impeccable—John Pattitucci and Willie Jones III. • Brad Mehldau Trio at the Dakota (April 10). Mehldau has always frustrated me—technically brilliant, artistically innovative, but at times prone to tedious introspection. But I loved his epic Highway Rider at the Walker last fall (and on CD) and his opening set at the Dakota last weekend was nearly perfect, maybe because he concentrated on reinventions of jazz tunes, from Jobim to Miles to Coltrane. And reinvention is what Mehldau does best. Bassist Larry Grenadier and drummer Jeff Ballard were as sympathetic as ever. 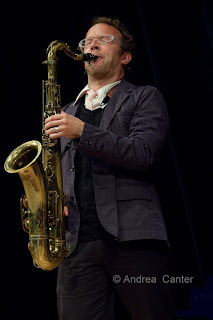 The Loring Theater (the Music Box in a former life) has been presenting some of the most exciting jazz in town lately. Friday night (4/15), it will be the scene of a final concert by the Nownet, the ever-evolving ensemble of the Jazz Is Now organization. 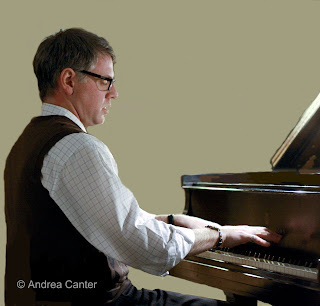 Headed by Jeremy Walker, composer/pianist/bandleader, the Nownet has performed a few times each year, but with Walker’s move to New York, gigs have been seldom. Jeremy gathers his band (Chris Thomson, Jeff Brueske, JT Bates) for one “Last Dance,” adding special guests Wessell Anderson and Marcus Printup. But fear not, Bryan Nichols, an equally innovative composer, pianist and bandleader, will be assuming duties as Artistic Director for Jazz Is Now, and a new ensemble can’t be far behind. The annual String Theory Music Festival returns, celebrating all things musical with strings (4/13-17 at various venues). At the Artists Quarter Friday night (4/15), three ensembles play back to back to back—the Tanner Taylor Trio at 9, followed by the Orange Mighty Trio with Zack Kline on violin, Nick Gaudette on bass and Mike Vasich on piano and finishing the evening with a midnight set from Felix, with Michelle Kinney, pianist Eric Mayson, tabla master Gary Waryan, and multi-reedman/electronics wizard Chris Thomson. (For Thomson, it might mean a mad dash from Minneapolis after his Nownet gig!) Taylor might look like the straight man in this context, but his monster piano chops will no doubt create their own string theories! Later in the week (4/19-20), Arturo Sandoval returns to the Dakota with his special brand of Latin post bop. Protégé of the great Dizzy Gillespie, cofounder of the great Cuban ensemble Ikare and four-time Grammy winner, Sandoval is as much an entertainer as virtuosic trumpeter (and pretty fair pianist as well). Expect a wide range of percussion as well as some soaring top notes… and probably a sell-out.